My Wine of the Month for May 2016 is Simonsig ‘Redhill’ Pinotage 2006. Pinotage was the first red wine made by Frans Malan, founder of Simonsig. That was almost 50 years ago and Simonsig are still on the top of the game. They make two Pinotages: one unoaked, which isn’t that common, and this one which has seen 14 months in 100% new barriques, 89% French and 11% American white oak. Redhill is a single vineyard wine that gets its name from the low hill of red soil of decomposed weathered shale that rises behind the winery. 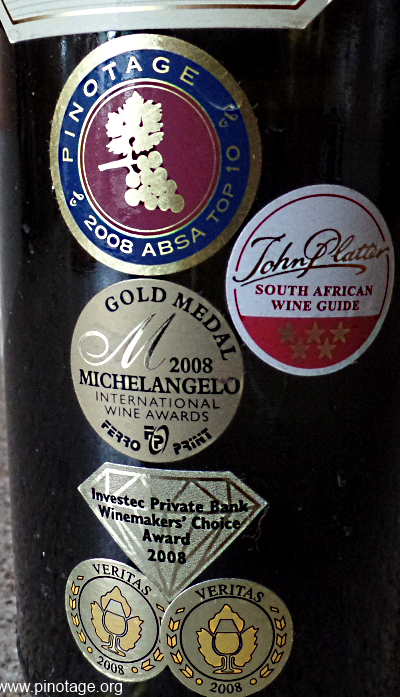 This vintage won all the major awards going, including Pinotage Top 10 in 2008 and 5 Platter stars, see photo below. The back label says this wine will age for 6-8 years after vintage but at 10 years old this still had plenty of life in it. However it’s hard to believe that it could get even better than it is now. 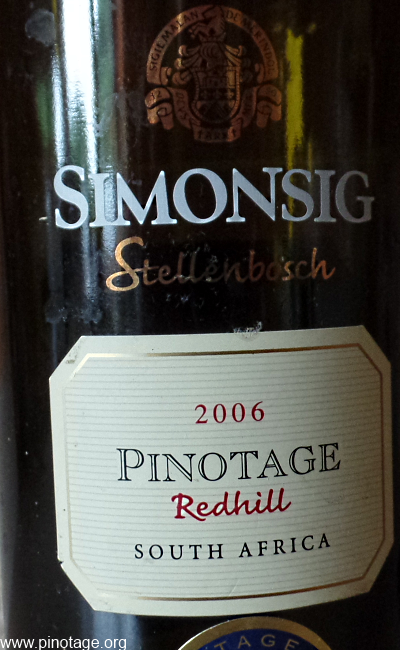 It has the mark of a great mature Pinotage; sophisticated nose with signs of sleek age on the palate with soft tannins, subdued fruit and that delicious fruit sweetness that’s a hall mark of the variety. Soft subtle and very classy. A delight from start to lingering finish. 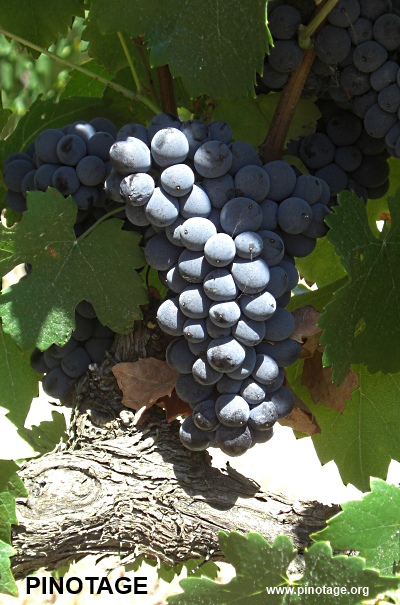 Pinotage plantings in South Africa have increased by 13.41% over the ten years ended 31 December 2015. 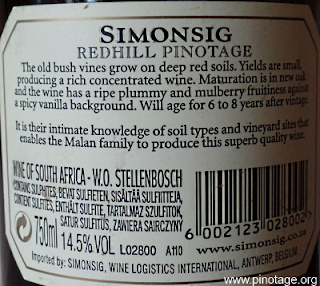 Official figures published by SAWIS show there are currently 7364.33ha of Pinotage, meaning it has overtaken both Chardonnay and Merlot to become the sixth most planted variety. The area planted to wine grapes has fallen every year since its apex in 2006, but the percentage planted to Pinotage has increased to 7.5% from 6.5% ten years ago. The top six varieties account for 69% of plantings. 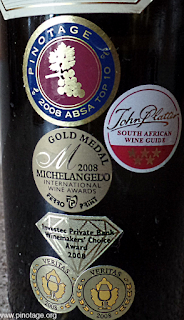 “I am not a Pinotage fan,” says Matthew Jukes, voted “the most influential wine writer in the UK” in 2011.